That’s Pat Crowley’s advice for starting a business. If you’re a regular viewer of Shark Tank, you may have been introduced to Pat. With his long hair and surfer wisdom, he doesn’t strike you as the average entrepreneur. Chapul sells protein bars and protein powder made from crushed up crickets. In fact, they are the first company to do so in the US. Pat is a prime example of how following the vocation of entrepreneurship can not just advance a person toward self-actualization, but can also make a difference for future generations, by changing minds and attitudes now. how he went from a promising career in the mortgage industry to hitchhiking from the US/Mexican Border and ending up teaching surfing in Panama for a year. 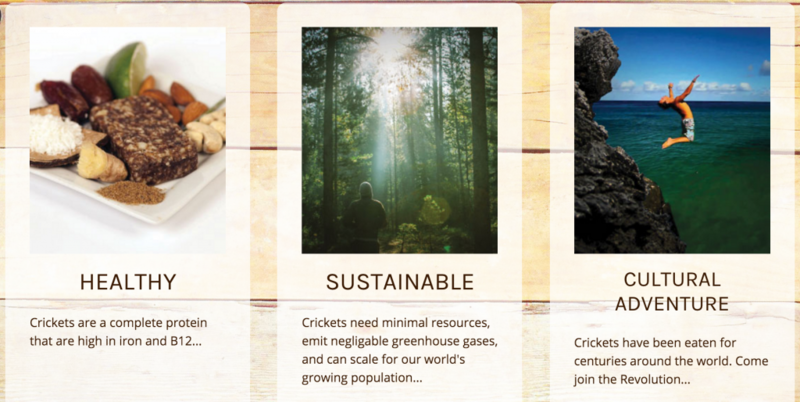 how one Ted talk led him to discover Crickets as the answer to how he would make a contribution to the world. how he successfully prepared and launched a kickstarter campaign to not only verify his business idea, but to fund the first stages of it. why starting slow and rising the tide were the perfect approach for introducing a product nobody was asking for. his unconventional but brilliant approach to knowing whether he’d enjoy partnering in business with someone. tales from shark tank and much more. After the interview, Pat told me that he has always lived life in the extreme. One side was adventure-focused, the other was stable, mission-focused, and slightly boring. Being an entrepreneur has allowed him to mix both worlds. There may not be a lot of money, yet, but there is a lot of purpose-driven adventure. And what else could you ask for? Chirp.